California Pizza Kitchen is a casual-dining restaurant serving up California creativity through its innovative menu items. CPK provides a range of California-inspired dishes, from signature hand-tossed and hearth-baked pizzas, to imaginative salads, pastas, entrees, soups, sandwiches and cocktails. Offering dine-in, take-out, catering, online ordering and an award-winning CPKids Menu. 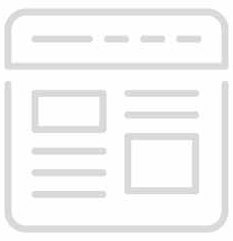 Guests are invited to join the Pizza Dough Rewards program with delicious perks and seasonal sneak peeks. 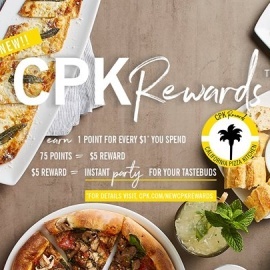 To join, go to cpk.com, download the Pizza Dough Rewards App or sign up with a server at your local CPK in Annapolis.